When I read Stephen King’s The Shining, I was struck by the fact that I knew everything that was going to happen before it happened. I wondered whether it was possible to do anything new in the horror genre. (In his film adaptation of The Shining, Stanley Kubrick mostly made it into a psychological thriller.) Horror films in recent year s only seem to recycle ideas. The last movie that I found genuinely frightening was the 1998 Japanese horror film, Ring. 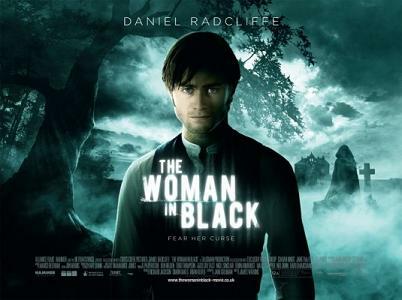 The Woman in Black is directed by James Watkins, from a screenplay by Jane Goldman, loosely based on the novel by Susan Hill. It covers familiar ground, but it tries to make up for it by being visually appealing. The story is set in England during the Edwardian period. Arthur Kipps (Daniel Radcliffe) , a solicitor from London, is sent to a small town on the English coast to settle the estate of a deceased widow. The townspeople are secretive and unfriendly. They not so subtly hint that Arthur should leave. They seem to know something he doesn’t. Unfazed, Arthur goes out to the widow’s house to look for legal papers. The place is called Eel Marsh Manor. (With a name like that, you know there’s going to be trouble). It is located on an island in the middle of a saltwater marsh. It can only be reached when the tide is low. The house is abandoned and surrounded by overgrown shrubbery. When Arthur searches the place, right away he hears strange noises. Through a window, he sees a woman dressed all in black. A lesser man would flee in such circumstances, but Arthur is staunch and fearless, albeit a little slow on the uptake. He is determined to get to the bottom of things. Watkins has tried to make up for the script’s weaknesses by directing the film in stylish manner. The shots of the island and of the vast saltwater marsh are beautiful. Eel Marsh Manor has everything you could want in a haunted house. The sets were designed with loving attention to detail. Yet the film’s sumptuousness can’t hide the fact that we’ve been here before. Mysterious faces appear and disappear in windows. Doors seem to open and close by themselves. Wind-up toys suddenly start up. People suddenly speak in strange voices. The Woman in Black will likely appeal to people who are nostalgic for old haunted house movies, but it doesn’t break any new ground. 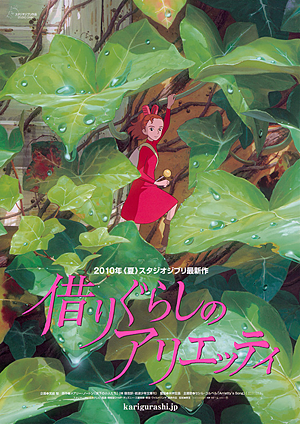 The Secret World of Arrietty is a Japanese anime film that is loosely based on Mary Norton’s popular children’s book, The Borrowers. The screenplay was written by Hayao Miyazaki and Keiko Niwa. It was directed by Hiromasa Yonebayashi. The credits list Miyazaki as a “developing planner” for the film. Not surprisingly it has a look and feel similar to his earlier works. Sean is a sickly boy who is sent to stay with his great-aunt, Jessica, in the house his mother grew up in. He eventually learns that there is a family of little people, who are 10 cm tall, living under the floorboards of the house. They call themselves “Borrowers”, since they live by “borrowing” things from the humans (who they call “beings”) who live in the house. They believe themselves to be members of a dying race. The family consists of fourteen-year-old Arrietty, her father, Pod, and her mother, Homily. Sean sees Arrietty’s on a couple of occasions, and he eventually succeeds in communicating with her. When Pod learns of this, he tells the family they will have to leave, for it isn’t safe for Borrowers to remain in a house after “beings” have discovered them. They begin preparing to leave. Meanwhile, Sean tries to help them by giving them furniture from a doll’s house, but this only leads to the family servant, Hara, learning of the Borrowers’ existence. She begins plotting to capture them (although the film never makes clear what she plans to do with them). She captures Homily and puts her in a jar. Sean then helps Arrietty to rescue her mother. The Secret World of Arrietty lacks the haunting, dream-like quality of Spirited Away, but it is nonetheless an entertaining fantasy adventure. 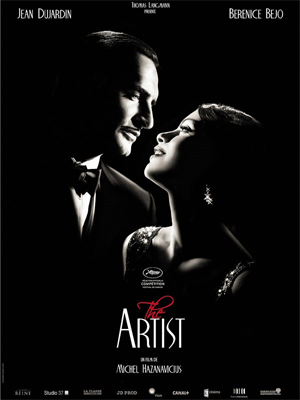 The Artist, written and directed by Michel Hazanavicius, is an homage to the silent film era. There is no recorded dialogue in most of the film. It is described as black-and-white, although it is clear that it was shot in color and then photoshopped into grayscale. (Compare this to any black-and-white film from the 1930’s, and you can see the difference.) Presumably this is because black-and-white film has become prohibitively expensive. It was shot in the 1.33:1 screen ratio that was commonly used up until the advent of television. The period detail is fairly accurate, although in one close-up shot one can see that Dujardin is wearing a synthetic moustache. And in one scene, when two of the characters meet on an upper story staircase in a movie studio (most studio buildings are only one or two stories), there are so many extras rushing back and forth in the background, the place looks almost like an ant colony. The story is largely lifted from A Star is Born, with a bit of Sunset Boulevard and the Rin Tin Tin movies thrown in. Geroge Valentin (Jean Dujardin) is a silent film star who appears in adventure movies with his dog, Jack. By chance, he meets an extra, Peppy Miller (Bérénice Bejo), and he is immediately taken with her. He persuades a reluctant producer (John Goodman) to give her a bit part in a movie. Within a few years, Peppy (don’t you hate that name?) becomes a big star. When sound films are introduced, Valentin dismisses them. He uses his own money to finance a silent film. However, it comes out the day after the stock market crashes. What’s more, a sound film starring Peppy premieres the same day, and everybody goes to see that. George loses his shirt, and he drifts into poverty and alcoholism. He sells off most of his belongings at an auction, where they are secretly bought by Peppy, who hasn’t forgotten him. However, George’s loyal manservant, Clifton (James Cromwell) stays with him, even though George can no longer pay him. Clifton reluctantly leaves only after George orders him to. (We’re supposed to believe this?) Depressed, George burns his old films, and his house catches fire. Jack runs to alert a policeman, and George is saved. While George is lying unconscious in a hospital, Peppy arranges to have him moved to her home, where, coincidentally, Clifton now works. When he wakes, George wanders through Peppy’s house, where he finds a room full of his old belongings. Shocked, he returns to his house, where he prepares to shoot himself, while Jack pleads with him not to. Peppy shows up and apologizes. The film ends with Peppy and George dancing in a musical number. The Artist has some amusing moments. For example, when George learns of the new sound film technology, he has a nightmare is which he hears sounds. For the most part, however, I felt as though I had been here many times before. (Think of those movie spoofs on the old Carol Burnett Show.) Hazanavicius says this movie is meant as a tribute. Yet, by filling it with clichés, he shows a condescending attitude towards the silent films he supposedly adores. Drive is a film directed by Nicolas Winding Refn, from a screenplay by Hossein Amini, from a novel by James Sallis. 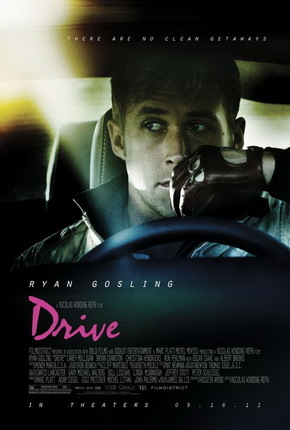 The Driver (Ryan Gosling) works as a mechanic, as a stunt driver, and as a getaway driver for robberies. He gets into a relationship with his neighbor, Irene (Carey Mulligan), who has a son, Benicio (Kaden Leos). Irene’s husband, Standard Gabriel (Oscar Isaac), returns from prison. He owes protection money to a gangster. The Driver agrees to help him rob a pawn shop. It quickly becomes apparent that the two of them have bee set up. Drive is a fairly simple gangster story, full of double crosses and car chases. Unfortunately, Refn tries to give the film artistic touches. There are shots of the Driver and Irene gazing into each other’s eyes or into the distance, while pop music blares on the soundtrack. There are also overhead shots of Los Angeles, to remind us, I suppose, that the film takes place in Los Angeles. I would have liked Drive better without such moments. A film like this only needs dialogue and action. It needs to be a “good, swift, violent story” as Dashiell Hammett would have said. I recently saw all three of the films in the Millenium trilogy, which were released in 2009 in Sweden. These films are based on the bestselling novels by Stieg Larsson, who was a Trotskyist journalist in Sweden. These movies deal with issues of violence against women and of right-wing extremism. The first film, The Girl with the Dragon Tattoo, directed by Niels Oplev, is the most satisfying of the three, because it has the most tightly constructed story. A rich industrialist hires an investigative reporter named Michael Blomkvist (Michael Nyqvist) to solve the 40-year-old disappearance of his teenage niece. Michael ends up being assisted by a computer hacker, Lisbeth Salander (Noomi Rapace), who has a complicated back story that serves as a springboard for the next two films. The movie gradually builds suspense through the gradual accumulation of detail. It has some genuinely unnerving moments. The next two films were directed by Daniel Alfredson. In The Girl Who Played with Fire, Michael has become the editor of a magazine called Millenium. He uncovers a human trafficking ring that involves members of the Swedish government. Meanwhile, Lisbeth is implicated in three murders. Michael is convinced that Lisbeth is innocent and that the murders are related to the human trafficking ring. The Girl Who Kicked the Hornets’ Nest is the least satisfying of the films, even though it ties up loose ends from the first two. Lisbeth stands trial for murder, and Michael is racing against time to prove her innocence. in the middle of the film, a special government police forces suddenly appears like a deus ex machina to save them. Part of the fun of the first two films was watching Michael and Lisbeth battling their way through difficulties by themselves. There is also a subplot about Lisbeth’s deranged half-brother roaming the Swedish countryside killing people, which mostly jsut serves as a distraction from the main story. I didn’t like some of the graphic violence in the first film, but after seeing the whole series, I have to admit it makes sense in terms of the over-arching themes and plot. I could nitpick about implausible details and lapses of logic, but I enjoyed the movies overall, especially because of their political overtones. Larsson implies that men with right-wing political views are inclined towards misogyny (this has something in common with Corey Robin’s “reactionary mind” thesis.). Think of Nietzsche and Newt Gingrich. The films also examine the corrupting influence of secrecy in government, a topic that has a good deal of relevance to the US. 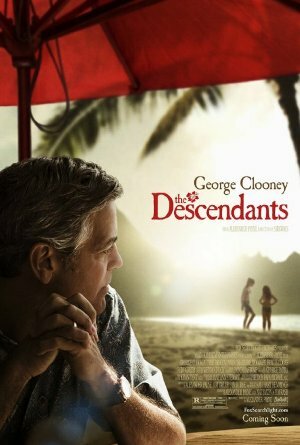 The Descendents, directed and co-written by Antony Payne, has garnered high praise, but I was not all that impressed by it. It is a so-so family comedy/drama that aims for moments of emotional catharsis and falls short each time. Matt King (George Clooney) is a lawyer living in Honolulu. His wife, Elizabeth, is left in a coma after a motorboating accident. A doctor tells Matt that the coma is permanent and that according to Elizabeth’s living will they must take her off life support. Matt is left to take care of his two daughters, Alex (Shailene Woodley) and Scottie (Amara Miller), whom he has largely ignored up until now. Matt learns from Alex that Elizbeth was having an affair during the months before the accident. Matt becomes obsessed wit the idea of finding the man she was sleeping with, Brian Speer (Matthew Lillard). When he learns that Brian is on the island of Kaua’i, Matt goes there, dragging along his daughters and, inexplicably, Alex’s boyfriend, Sid (Nick Krause), who says incredibly stupid things. This film has a subplot that is slightly more interesting than the story of Matt’s stalking of Brian. Matt and his extended family of cousins are all descendents of a Hawaiian princess who married a white man (hence the film’s title). They have inherited a large tract of land on Kaua’i, which is held in trust. They are negotiating to sell the land to a developer, although some members of the family are opposed to this. Matt initially supports the sale, but he eventually decides against it. He realizes that he wants the land to remain pristine. This film has some funny moments, but it also has overwrought “dramatic” speeches, many of them addressed to Elizabeth’s comatose body. (There are numerous close-up shots of Elizabeth’s face, the purpose of which is not clear to me.) 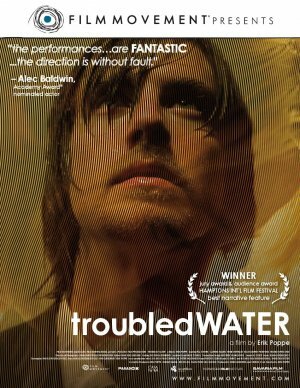 This film might have worked better as a straight comedy, rather than as a “comedy/drama”. In between scenes there are numerous shots of the beautiful Hawaiian countryside, with Hawaiian music playing on the soundtrack. Payne apparently thought that he should continually remind us that the story takes place in Hawaii. The effect is as though you were watching a travelogue. I was reminded of those old travel films I watched on Saturday afternoon TV when I was a kid. (And now we come to the enchanted land of Hawaii, with its happy natives…) One thing these shots do is pad out the film: it is almost two hours long. A feeling of exhaustion starts to set in towards the end. I began wishing that Elizabeth would hurry up and die, so the whole thing would finally be over. Does this make me a bad person? I prefer to think I am just a frustrated moviegoer.